Yasmine joined INL in 2018, Nanochemistry group, as a research assistant to work on the characterization and the testing of novel catalytic materials. 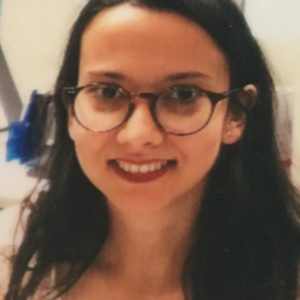 Yasmine holds a bachelor degree in Chemistry from the University of Science of Algiers in Algeria and a master degree in Organic and Polymer Chemistry from the University of Bordeaux in France. During her master thesis, she worked on magnetic nanoparticles surface functionalization to develop translational nanoemulsions for medical imaging techniques. She also worked on the synthesis of plasmonic particles for ecotoxicological studies, and in the field of nanocatalysis for biomass conversion.